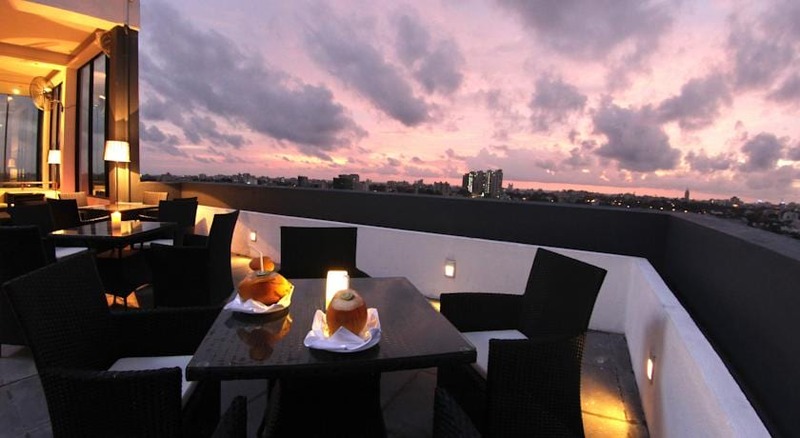 Best Western Elyon Colombo features a rooftop bar and lounge, a fitness centre, a business centre and rooms with city views and free WiFi access. The nearest golf course is located within 3 km away and the Colombo City Centre is 4 km. Modern rooms feature a flat-screen TV with satellite channels, an iPod dock, a personal safe and a wardrobe. Tea/coffee making amenities and a minibar are also included. The en suite bathroom comes with rain shower facilities, a bidet, toiletries and a hairdryer. The hotel is 2.8 km from Bambalapitiya Railway Station and 100 m from Lanka Hospital and Asiri Hospital. Bandaranaike International Airport is 32 km away. Travel arrangements can be made at the tour desk. Staff at the 24-hour reception can also assist with luggage storage, laundry, car rental and room service.